Today I have a fun competition to share with you which can involve a bit of a beauty bloggers favourite, photography. In celebration of their 20th anniversary Carex have launched a competition to reward 20 pairs of hands from around the UK. 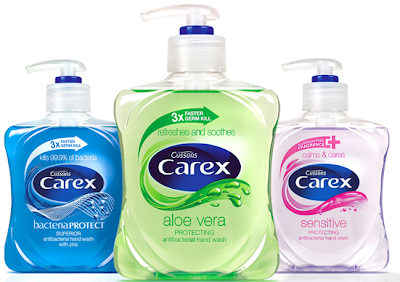 There will be 20 lucky winners of this competition with the best entries will win a years supply of Carex hand wash and £500 Red Letter Days vouchers to spend as you wish. I already know that I'd chose - a day on safari or spend the day being pampered at a luxurious spa, it's always good to be organised ha ha. All you need to do to enter this competition is share a day in the life of your hands and show exactly what they get up to. Entries can be a few sentences, a short diary, pictures or even video footage showcasing what your hands get up to on a day to day basis.